At Homedica, we provide the expert treatment of physicians and nurse practitioners where patients are most at ease—in the comfort safety of their homes. For those who are unable to comfortably leave the home, we provide primary care visits to patients. If you or a loved one find leaving home burdensome or if you cannot safely leave your home, our physicians and nurse practitioners work directly with your primary care physician to provide the same level of outstanding care to you in the comfort of your home. Care is tailored to the patient’s individual needs, thereby helping reduce hospital admissions and emergency room visits. Why deal with the anxiety of traveling to a doctor’s office? Overseen by our Board-Certified physician, we provide primary medical care to patients who have limited mobility. With our nurse practitioners and doctors on call at all times, Homedica patients can rest easy knowing that we make medical house calls to ensure personalized care for people who are unable to comfortably leave the home. Those with chronic illness, who find leaving home burdensome and dangerous to their fragile condition, now have an option for high-quality medical care that brings a medical professional right to their own door! Through the convenience of medical house calls, Homedica offers services provided by physicians and nurse practitioners, who remain keenly focused on meeting the needs of both the patient and the family. Homedica’s home care physicians are Board Certified in Internal Medicine and Family Medicine and offer an expertise and commitment to providing a continuum of care tailored to the patient’s individual needs, thereby helping reduce hospital admissions and emergency room visits. 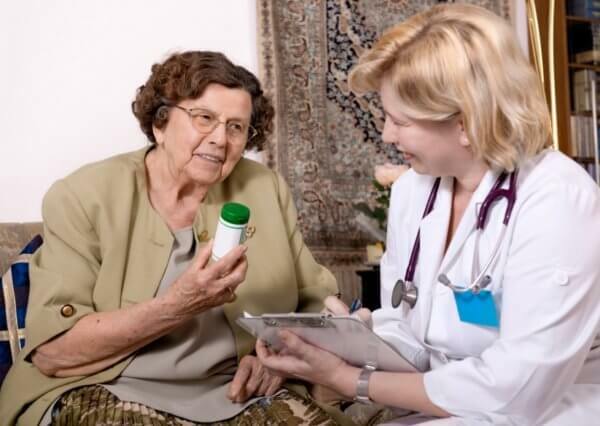 Homedica HouseCalls visits are covered by Medicare Part B and most major insurance companies. Services are available throughout Louisiana and South Alabama. Wondering if Homedica HouseCalls is right for you or a loved one? We can answer all of your questions to help you decide what is best for you. Call us today, toll-free at 844-414-2072.